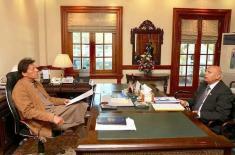 ISLAMABAD (UrduPoint / Pakistan Point News / Online - 17th April, 2019) New research suggests that chemicals in purple corn can reduce inflammation and insulin resistance in a mouse cell model.Eating a healthful diet is a cornerstone of the prevention and management of type 2 diabetes. Fruit, nonstarchy vegetables, whole grains, nuts, seeds, and legumes are all on the list of foods that theAmerican Diabetes Association (ADA) recommend.There is no one-size-fits-all approach, and the latest ADA recommendations advise that individuals work with a healthcare professional to determine which foods help them control their blood sugar levels.Corn may not be the most obvious choice when looking at managing diabetes. However, this grain comes in a variety of shades and colors, and it is these pigment chemicals that might hold the key to unlocking its potential benefits for people living with diabetes.A 2017 study showed that rats that ate extracts from a strain of blue corn alongside a Western-style diet had less abdominal fat, better bloodcholesterol and triglyceride levels, and lower blood pressure than rats that ate only the Western-style diet.A research team from the University of Illinois at Urbana-Champaign, who worked with collaborators at Northeast Agricultural University and Zhejiang University, both in China, now presents data showing that the complex phytochemicals in a variety of new purple corn strains may reduce inflammation and improve insulin sensitivity in a mouse cell model. 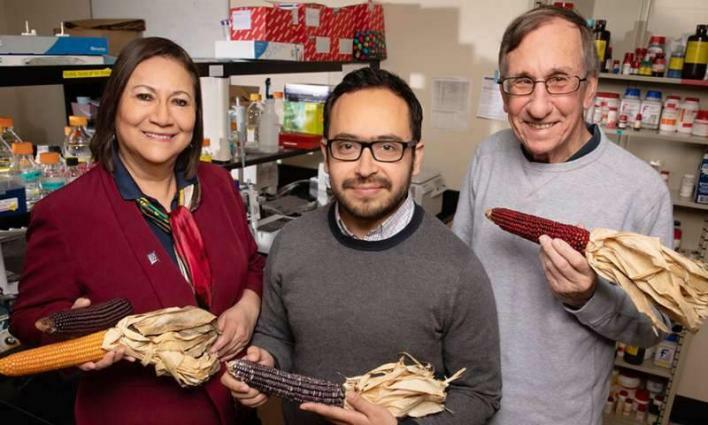 Managing inflammation and obesityElvira Gonzalez de Mejia, corresponding author and a professor of food science, led the research, and the team published the findings in the journal Food Chemistry.For the study, the researchers spent 4 years growing 20 new varieties of corn, which they derived from Apache red maize. They then used water to extract the chemical compounds present in the outer layer of the corn kernels, called the pericarp.Each pericarp extract had a unique profile of anthocyanins, the pigments that create a corn strain's particular shade of red-purple, as well as other phytochemicals or phenolic compounds, including caffeic acid, vanillic acid, luteolin, and quercetin among others.To test the potency of each strain's pericarp extract, the researchers took to the laboratory and used mouse cell models of inflammation andobesity two critical drivers of diabetes as well as insulin resistance.